European Oak Rift Cut Fumé. European Oak Rift cut presents a straight grain and the result is usually plain appearance. This with its coarse texture and its medium weight define this hardwood species. The colour of the heartwood varies from light brown-yellow to Brown, and the sapwood is a little clearer and is clearly separated. Its fibre is straight and the grain is thick. Indeed, growth rings are visible and they are very marked. 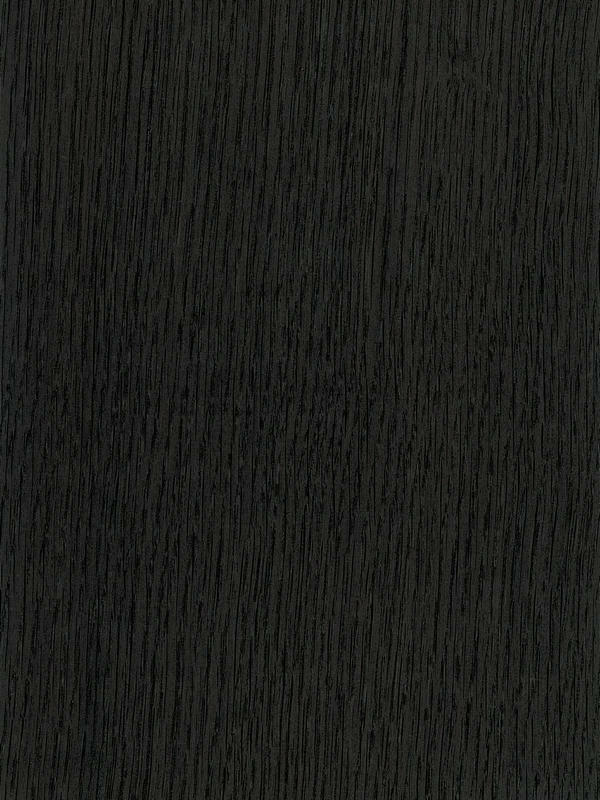 European Oak Rift Cut Fumé veneer speeds up the natural ageing process. The fuming reacts with the acid in the older mature wood, changing the colour to various shades of grey brown to almost black, sometimes slightly streaked lighter or darker. It should be noted that the sapwood remains unaffected by the process. Because the individual veneer leaves may sometimes vary slightly in colour, even within a single bundle, it is suggested that the veneers are slip-matched when laying, rather than book matched. European Oak has nearly all common uses of hardwoods, and is especially popular where strength and durability are required, as architectural panels, lumber or furniture. It is used for just about any application that decorative veneer can be. It can brings elegance and sobriety to any space with its cold and dark colour. Also a classic environment or even just a completely different atmosphere through combinations with fancy dyed veneers, and as a result a more modern and appealing area.